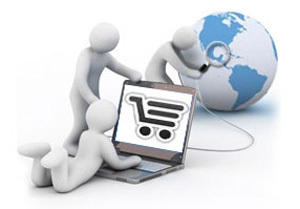 Development of an ecommerce website plays a crucial step for your business. WebsiteDesign.org.in is a web development company offering ecommerce web development packages to create and diversify your online presence. Our services involve design of your company sites with latest software and provide features like quick loading, interactive on page features, advanced security measures, content management system and SEO friendly updates. WebsiteDesign.org.in is a Gurgaon based company that offers effective and wide-ranging solutions for the ecommerce businesses of different types catering to client specific needs. At WebsiteDesign.org.in our developers team ensures that your site on the web is user friendly and has ease of navigation. We are experts of magento ecommerce development and have numerous clients who value our scalable and flexible magento applications. We make the best effort to provide you the right quality in terms of not just appearance and functionality, but also revenue generation.